It’s time, at last, for my 2013 resolutions, I suppose. And I do have things I want to focus on getting better at or doing more of this year. I’ll make it short and sweet, though. First up: Watch more old movies. 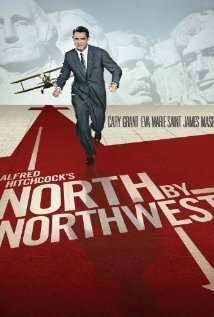 I’m going to kick off this resolution with the 1959 Alfred Hitchcock movie North by Northwest (which I’ve never seen, but is currently at the top of my Netflix queue). I feel like it’s especially appropriate due to its advertising agency connection. Three: Read more. I describe myself as a reader, and I definitely love to read, but I’ve been depressingly negligent about reading over the last year or so. I just haven’t made it a part of my routine lately, and I really want to get back into reading rather voraciously (especially since Kevin got me an awesome Kindle for our one-year anniversary last July!). 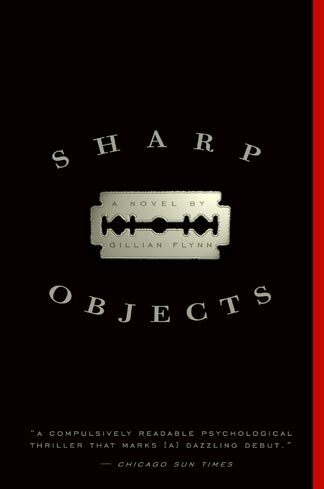 First book for 2013: Sharp Objects by Gillian Flynn (author of Gone Girl — which I’ve read, loved, and highly recommend). Five: Document more. I used to be so good about taking photos of life events — both important ones and everyday ones — but have fallen out of the habit and am now definitively terrible at it. I aim to improve on that in 2013! Last up: Travel as much as possible. Kevin and I both got awesome new suitcases from my parents for Christmas, so we’re well-equipped for adventures in 2013. We’re usually pretty good at staying on the move and taking advantage of both big and small travel opportunities, and I want to be sure that continues this year as well. What are you hoping to focus on/improve this year? I love North by Northwest! Enjoy! You should watch On the Waterfront with Marlon Brando next. Ooh — thanks for the recommendation, Staci!